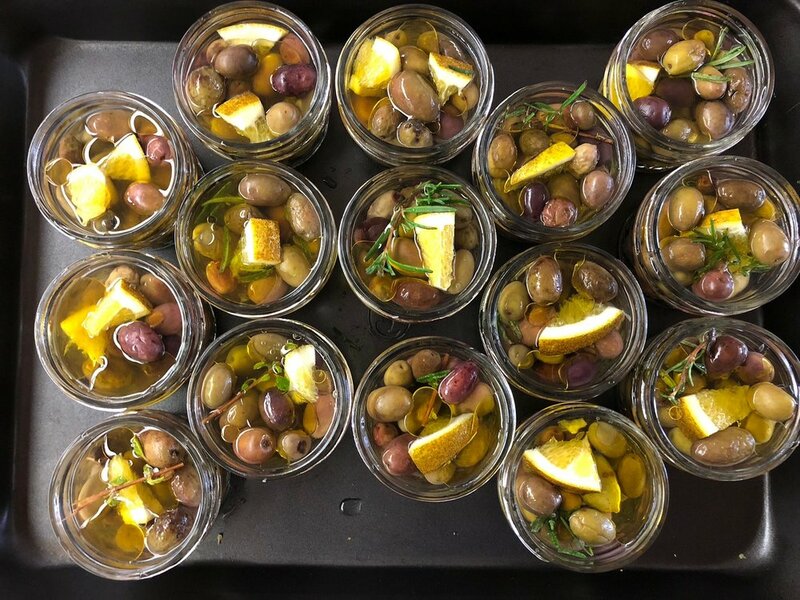 Inspired by a family trip to the countryside of Italy-- remembering the beauty of the olive trees in the landscape, good food, company and smiles around the table-- we searched for ways of bringing this way of life, and quality olive oil, back home to Maui. Some may say it was great timing, and that the idea was planted, nurtured and rooted into the field of possibility ever so quickly--We dived into two years of research; ended up "land prepping" by clearing the upper lot of the property in order to bring it back to its agricultural-ready state; met someone, by chance, who was dedicated to bringing olives to Maui; found out that our farm's elevation and the island's volcanic conditions were similar to Italy; and then sealed the deal with committing to say "Yes" to this new venture-- and a week later we laid the first phase of keikis (baby trees) in the ground. Now it's six years later. 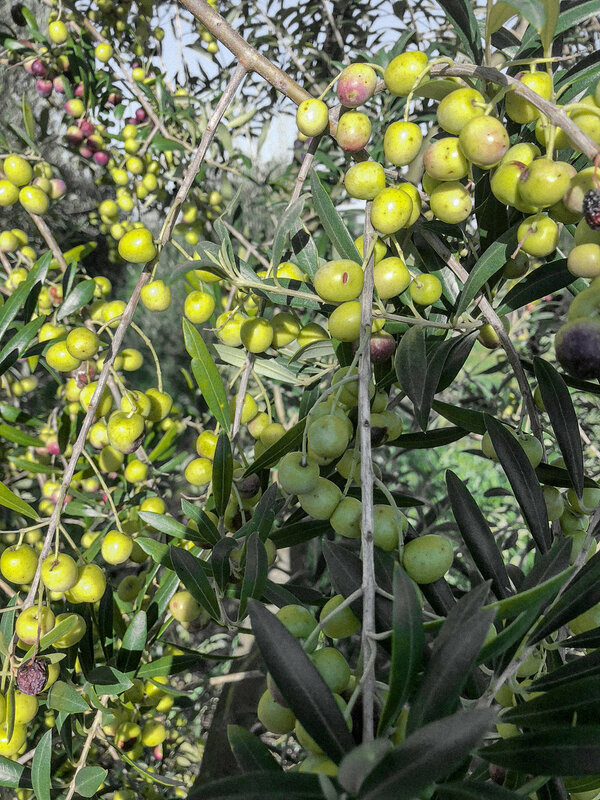 In year four, was our first harvest of fruit, which gave us our first gallon of olive oil. This gallon was the best darn olive oil we've tasted after the four years of work and energy put into those trees! Pressing day, watching the gold liquid drip drop after drop, was a celebration day. We didn't stop there with the farm, adding a few more sections of olive trees, alongside more crop diversity such as coffee, citrus, bananas and a small family garden. With the fortune of having agricultural land on Maui, we will continue to honor the island’s abundance by feeding and nourishing our community, and striving towards offering diverse quality products that make life that much richer. Since day one, when we bought this parcel of land, before a house or anything was built on it, we saw owls flying over the overgrown brush. Here in Hawai'i, the pueo (a native short-eared owl) is revered --as in many world cultures--and is a sign of good luck and an omen. Pueo are special as they are intrinsically tied to the land and culture here, as they are recognized in moʻolelo (traditional oral storytelling) as being messengers and ʻaumakua --family gods, deified ancestors and guardians that take on physical shapes-- here to communicate with us through dreams, visions, and calls. In Hawaiʻi we also have the introduced Californian barn owl that roam the fields at night-- brought over in 1958 in an attempt to control the islands' rodent problem. Both owls tend to roam our farm's fields at different times of day, flying in the fields and through the gulch that lines the property. Walking at dusk through the section of two-year old olive trees, owner Leil contemplated a name for the farm. As he was in thought, walking past the silvery-green leaves that were dancing in the sunset lighting, a white owl glided over his head, voicing a call (eō) out into the gulch. The timing of this response felt symbolic and meaningful. And so the name P U E O K EA --the white owl-- came to represent that moment with the intent to honor all visiting pueo, and symbolize the olive orchard itself-- its silvery shimmering leaves much resembling the quivering feathers of these owls. 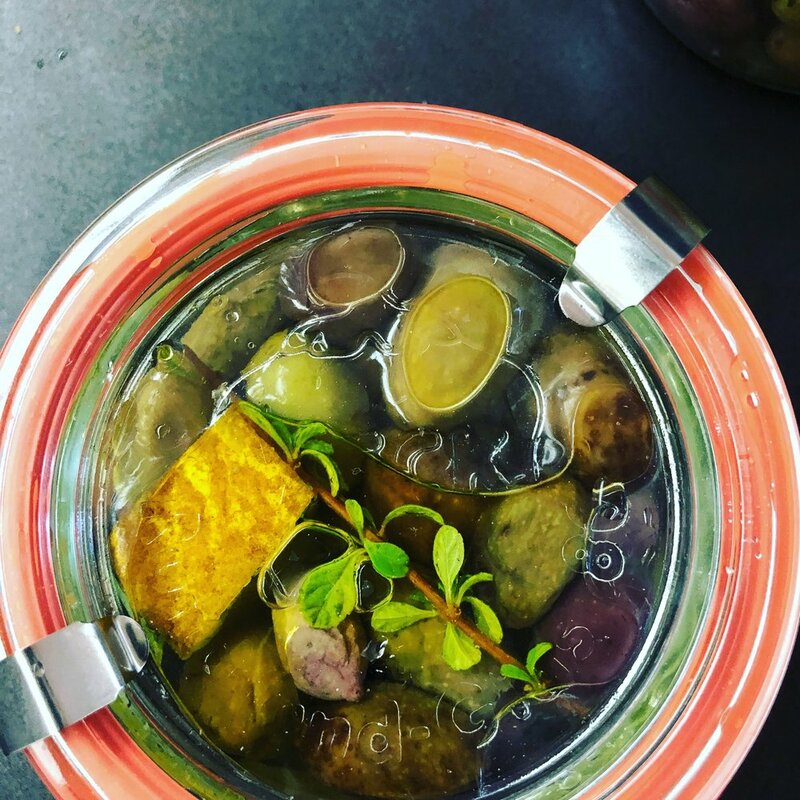 The olive tree is truly a metaphor for our farm's philosophy: of planting the seeds now with the wellbeing of the future in mind. Olive trees are heritage trees, whose value and abundance will shower the generation a hundred years from now.